This slouchy hat is easy to adjust to any size. The ribbing of the beanie fits snugly around your head. 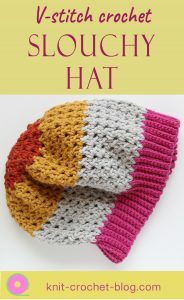 The lacy V-stitch gives a textured finish to the pattern.This hat can be one you want to make in many different colours. 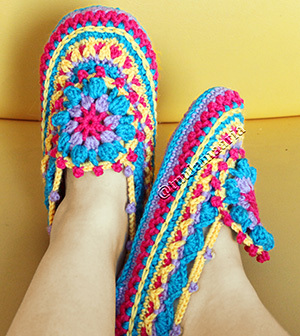 I have already made several of them both for myself and to family members. This beanie can be worn in two ways. You could also wear the hat with the ribbed brim turned up. Then the hat fits tighter. We start the hat by making the ribbing. By trying it on you can decide the length of the ribbed piece. The ribbing is closed into a ring . We pick up the stitches for the V-stitch part from the side of the ribbing. That way there will be no sewing afterwards. 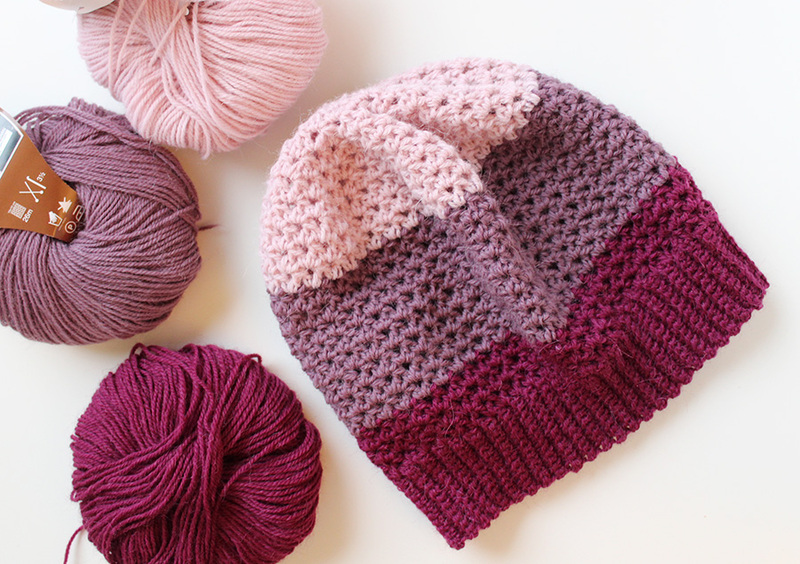 You can use different weights of yarn and sizes of hooks because each beanie is fitted separately. 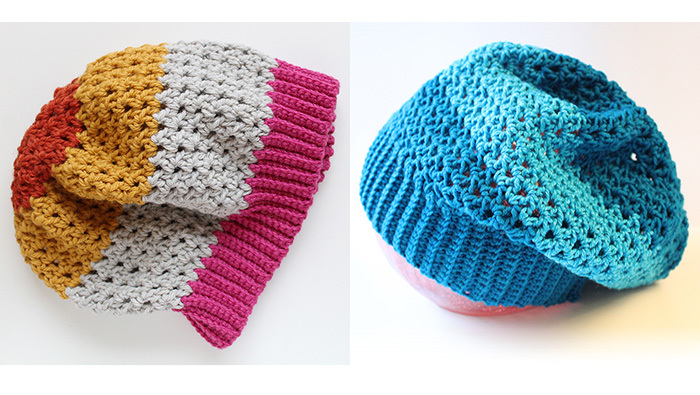 The hat with a pink ribbing is heavier yarn than the other two in the photos. Love this hat and really enjoyed this video on how this hat was made.